As Keat’s famous ode goes, autumn is the season of mists and mellow fruitfulness. 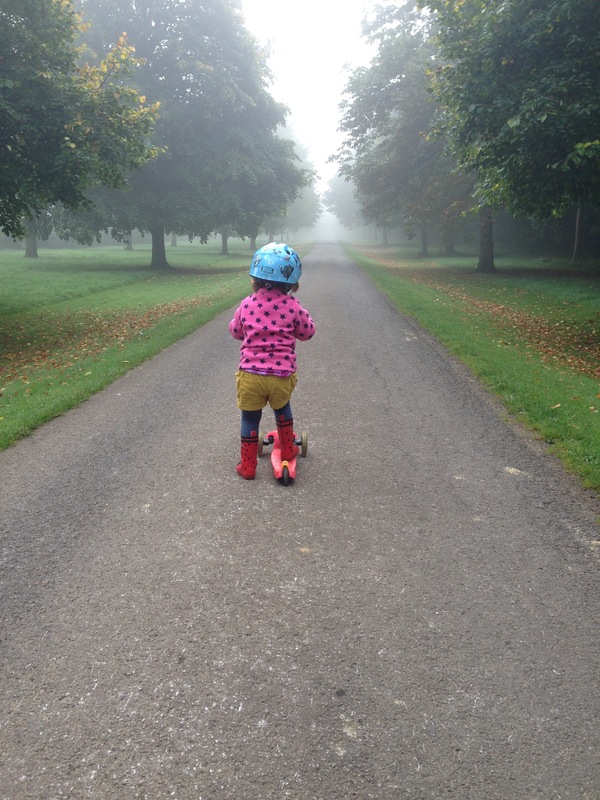 After a late breakfast we headed out into those seasonal mists so that Miss MBaF could take her new scooter for a spin. I didn’t even attempt to capture the fairytale atmosphere of the mist underneath the avenues of trees that lined our path. Here’s a snap from Mr MBaF. Once the mists cleared we had another beautiful day, and I took the chance to head to the allotment for some weeding and picking. Weeding didn’t happen. My tools have been taken hostage by my toolbox. The padlock is seized shut. I can’t even turn the numbers let alone open the blimin’ thing! Hard labour will have to wait until I get some oil into the thing. So, I harvested several handfuls of fabulous mangetout, as a crisp accompaniment to the pot roast I’d left in the oven at home. Then I picked all the remaining beetroot. It’s had a rocky road, with false starts in the cold spring and pesky pigeons giving it a hard time. Many of them were still pretty tiddly, but they look fine – and just like an earthy autumnal root should. What to do with them? 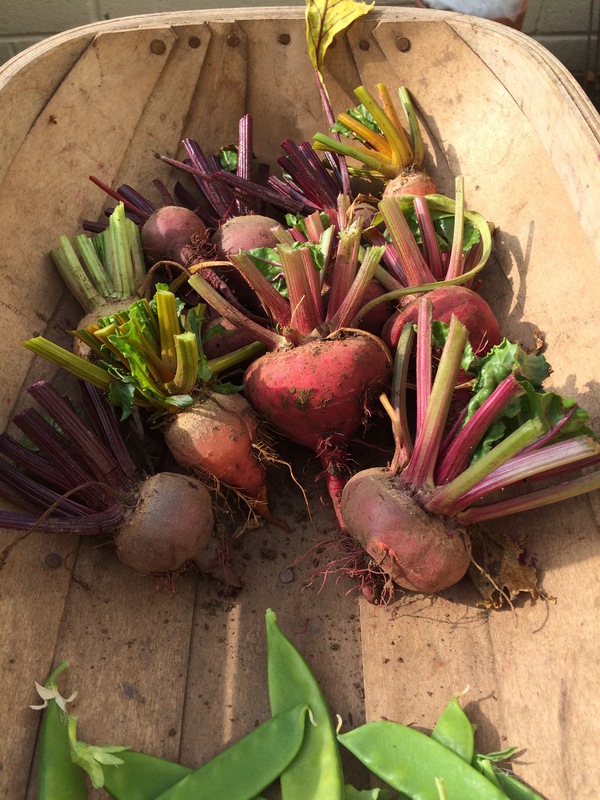 The lovely blog From Plot to Plate has some good ideas, including beetroot crisps (which even Mr MBaF might like!). Tonight I had two roasted with my beef …and I forgot all about the mangetout! Pick of the week? Tomatoes…. I don’t think beetroot like my garden but I am still hopeful of some tiddly ones. Yours don’t look tiddly at all! Yes do! With a suitable item for scale! About four times the size of mine! How did it taste? PS I can highly recommend this recipe for using up beetroot. I didn’t do the carrot or pork chop bit, but prepped the beets in the way it advised and then really enjoyed them cold, sometimes diced and mixed with creme fraiche.